Want to win at losing? Join the Track Team! Withings and MyFitnessPal have teamed up to bring you a new and improved weight management experience. We analyzed weight loss data to bring you information on best practices. Read on to see the results. Losing weight can be a difficult journey. With the rise of connected devices and apps, there are more tools than ever to empower people as they embark on the long road to healthy. To identify the techniques that are most successful, Withings and MyFitnessPal analyzed data from more than 30,000 Withings scale users who indicated they were overweight or obese and wanted to lose weight. The data revealed that the keys to success are: tracking weight and food intake, setting goals, and weighing/tracking food regularly. Regularly tracking weight is a great way to get the numbers on the scale to drop. When coupled with food logging, we notice these numbers drop further and more rapidly. In our sample of users, those who did not log their food intake with MyFitnessPal lost an average of 2.4 pounds over the year. 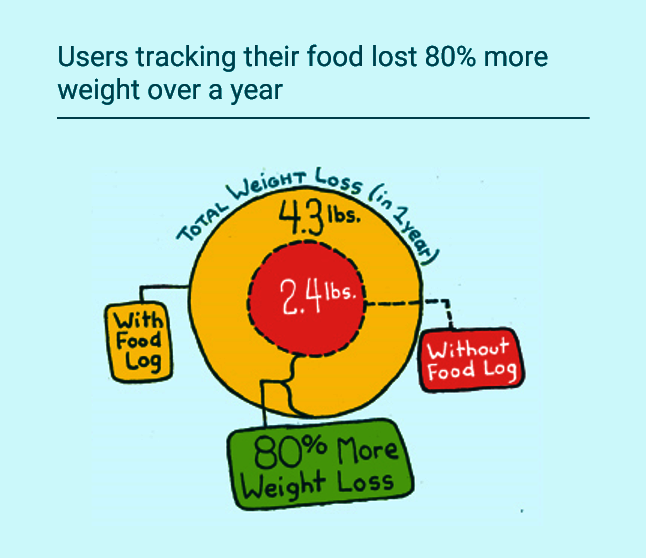 Users who integrated food tracking into their weight tracking regiment lost 80% more weight at an average of 4.3 pounds. Motivation is a major driving force when it comes to successful and sustainable weight loss. 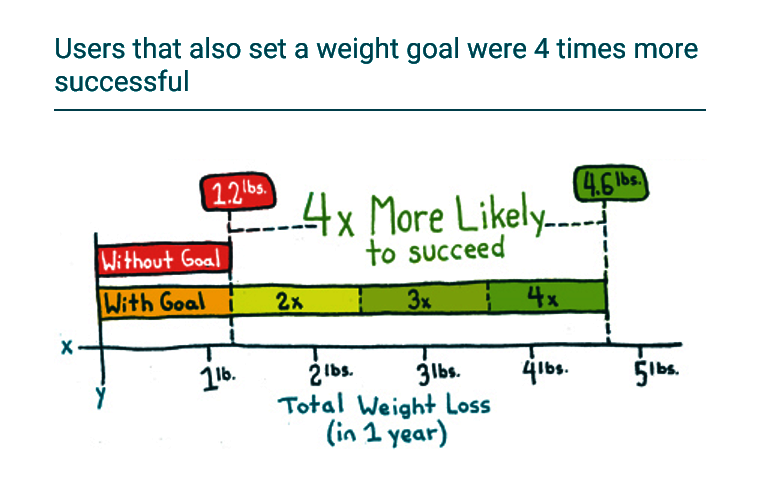 It’s great to visualize a weight graph that shows weight loss, but it’s even more powerful to see how these numbers compare to a larger goal. Understanding the importance of motivation, both Withings and MyFitnessPal strongly encourage users to set a weight goal. Each time users check in, they can instantly assess how far away they are from hitting their goals, and Health Mate can provide an extra push by providing daily or weekly reminders to reach new heights. 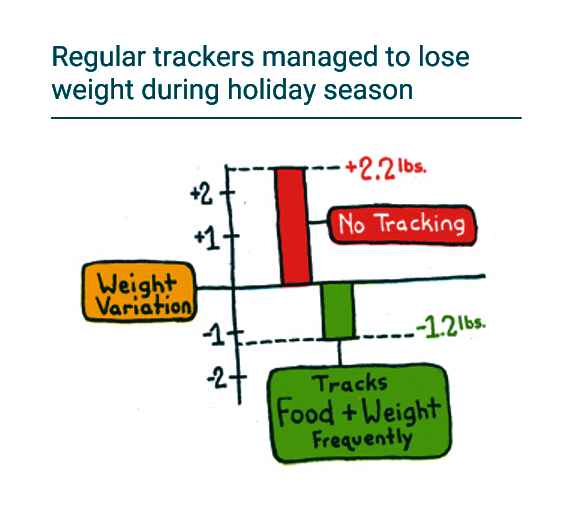 According to the data, users who track food intake, weight, and have a weight goal set lose and average of 4.6 pounds, almost 4 times more weight than the 1.2 pounds reported from people who log food intake and track weight without a specific goal. Do you have a specific routine when you wake up the morning? We’ll bet you do, and if you add some time on the scale, your mornings will get weigh weigh cooler. 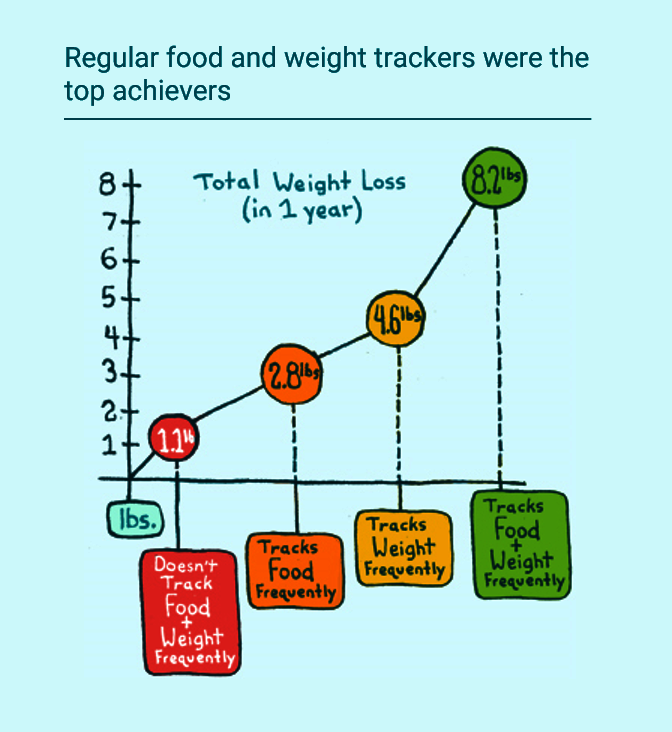 Our study revealed that users who track food intake and weight frequently (at least once every 3 days) are most successful in shedding weight. These top achievers lost 8.2 pounds over the course of the year. Check out the graph below to see how they compare to the irregular trackers. The holiday season is just around the corner, which means extra socializing and the heartiest of meals are upon us. How can you maximize the socializing aspects of the holiday season and cut down on weight gain? We analyzed data from last year’s holiday season (December 1-2014) to give you some answers. Users who were conscious of their food intake during this period and managed to weigh in frequently were successful in staying on track, reporting 1.2 pounds of weight loss on average. On the contrary, users who gave in to the holiday temptations and stopped tracking food intake and regularly weighing in ended the holidays season two pounds heavier than they started. So what are you weighting for? Join the track team today! Note: The Withings & MyFitnessPal integration is available now for iOS and coming soon to Android.